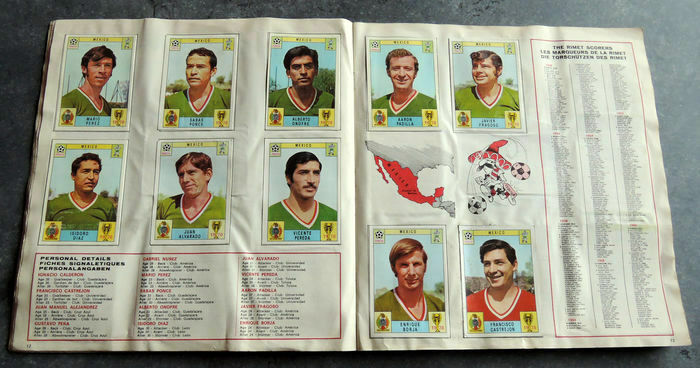 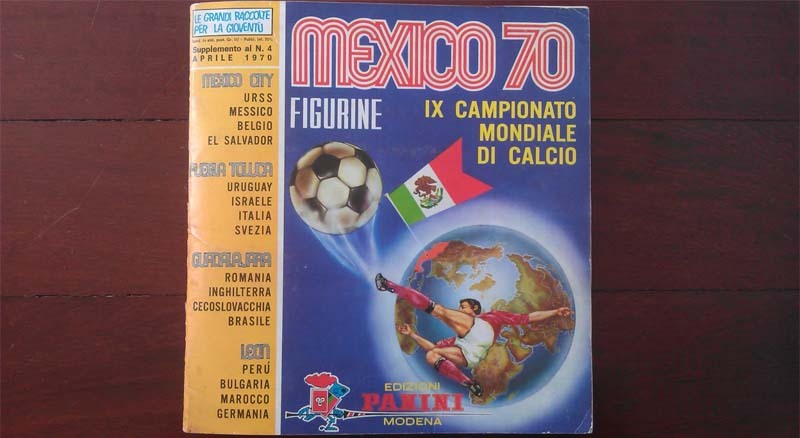 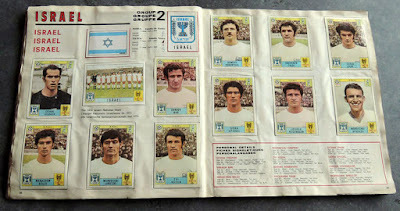 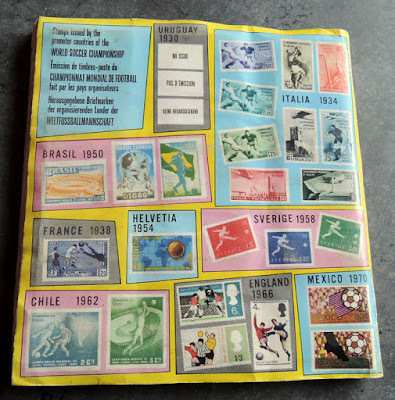 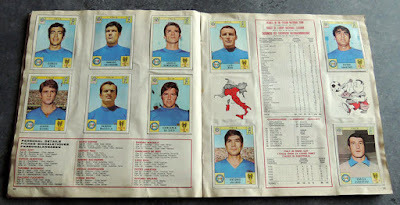 Panini Mexico 70 is the first World Cup sticker album published by this Italian publisher. 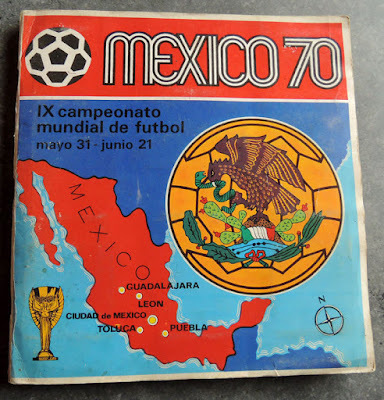 This is where it all started. 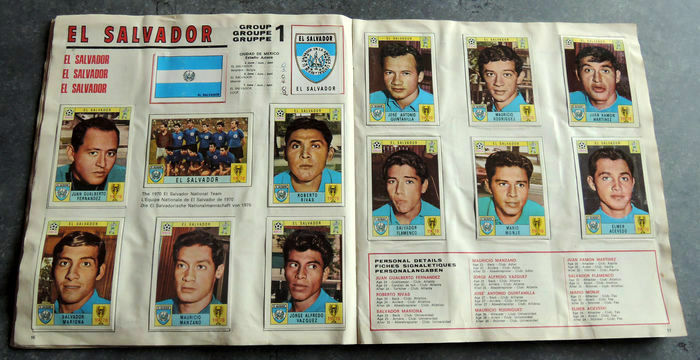 The first, the one, the only. 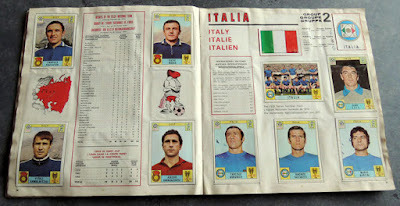 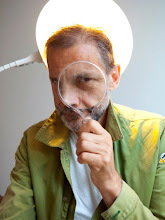 Collection features 288 stickers and cards with a 50 page softcover sticker album on Italian language. 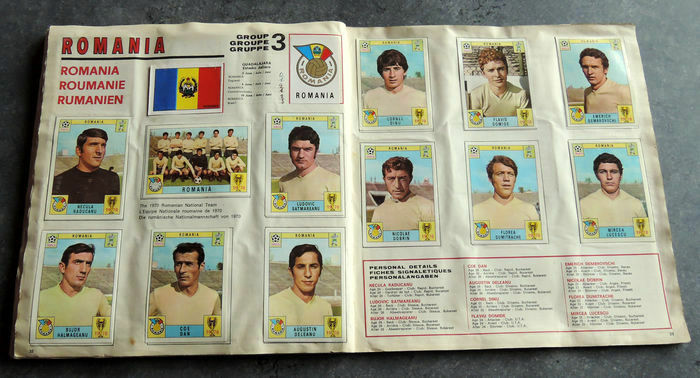 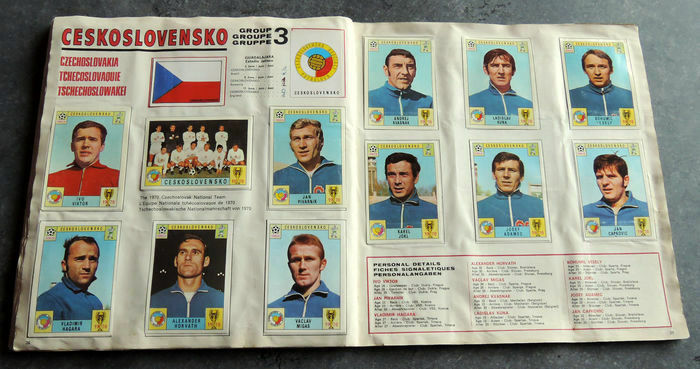 All 16 teams that played in tournament appear in the sticker book. 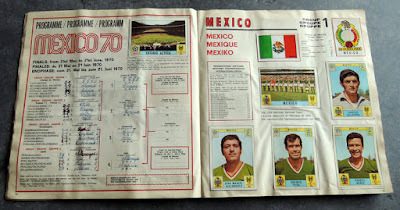 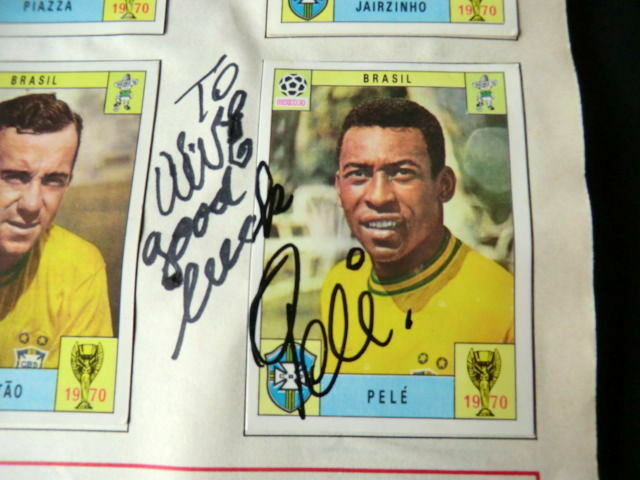 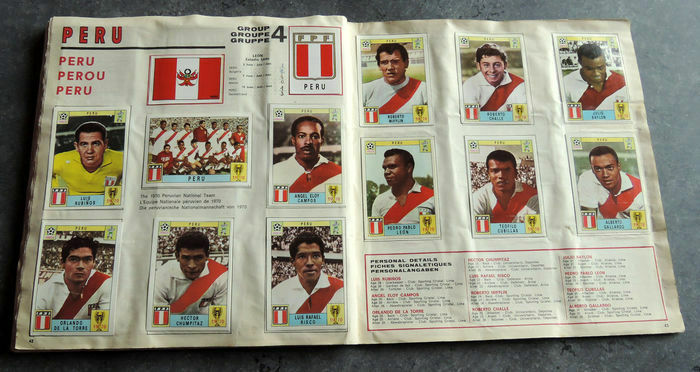 The combination of self-adhesive peel off stickers and cardboard cards is what makes Panini Mexico 70 quite unique. 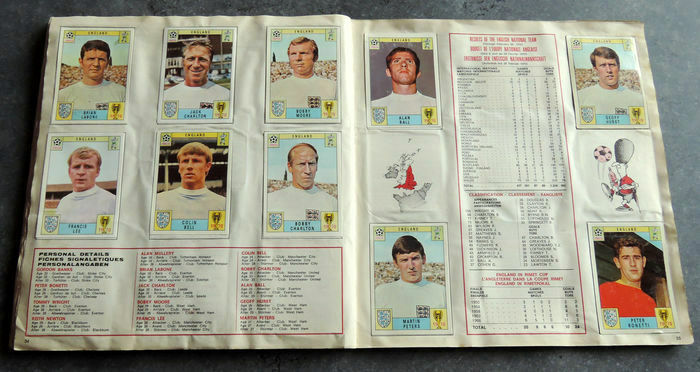 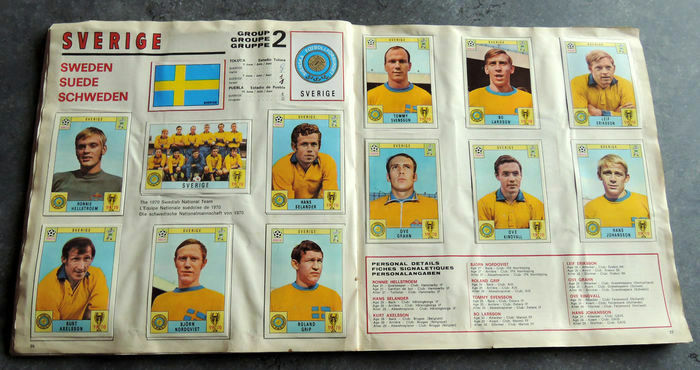 All the players and teams have been printed on thick cardboard cards which can be put into the album by using glue or a scotch tape. 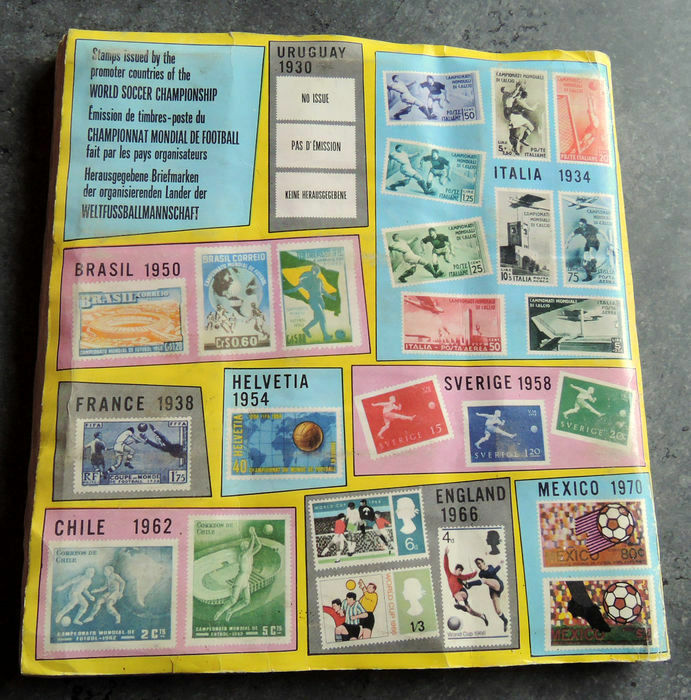 Posters and flags are produced as self adhesive stickers. 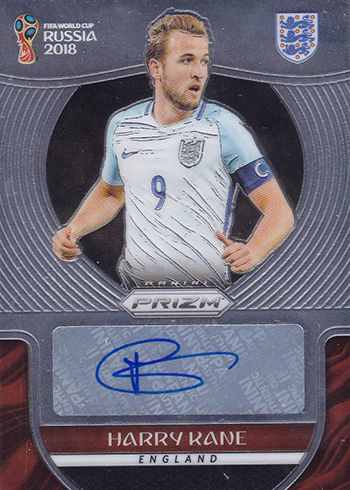 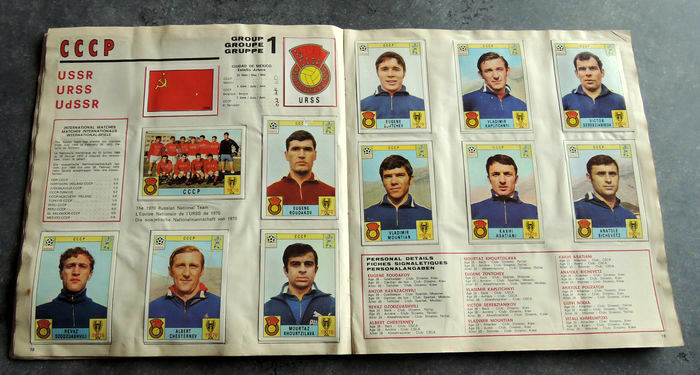 Stickers and cards are not numbered at the back. 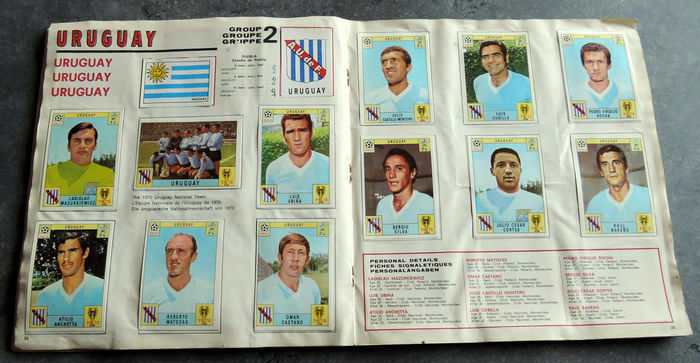 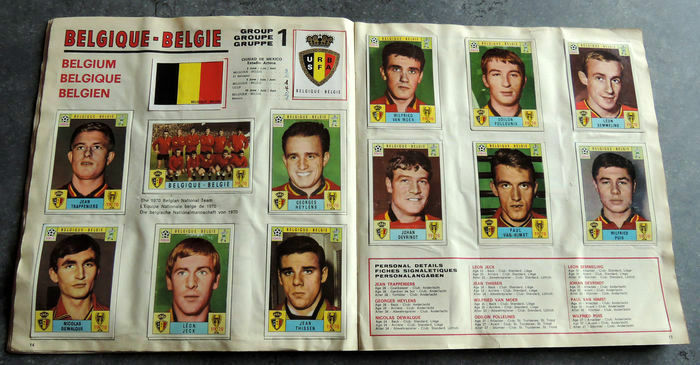 To stick them you have to check the name of a player inside the album which can an exhausting process. 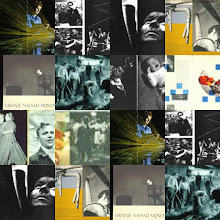 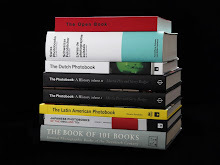 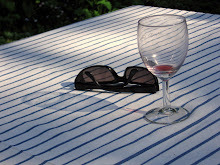 Collection has been printed in Italy, but has been distributed in the United Kingdom as well. Without any doubt Panini Mexico 70 is by far the priciest and the most sought after WC collection. 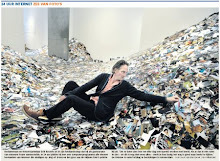 Usually complete albums in good condition can go for couple of thousand dollars. 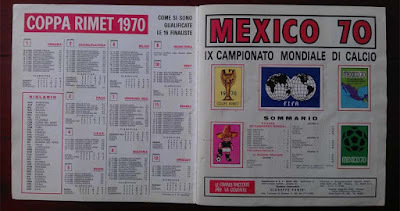 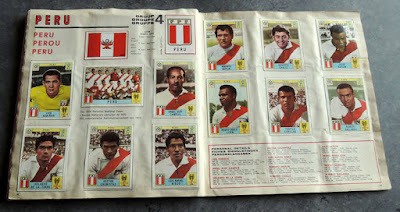 Recently, when the demand was over the roof, an empty 1970 Mexico Panini album + complete stickers set was sold for over 8400$. Left cover page features content table with the overview of road to qualifications for all the teams. Opening section of Panini Mexico 70 contains 5 stickers. 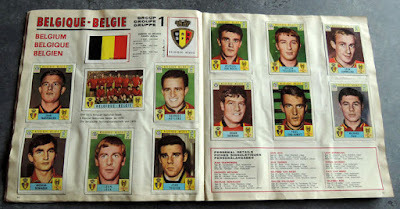 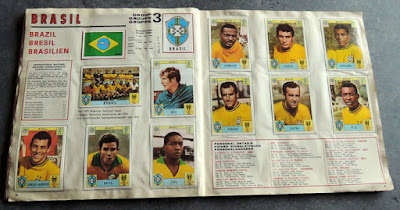 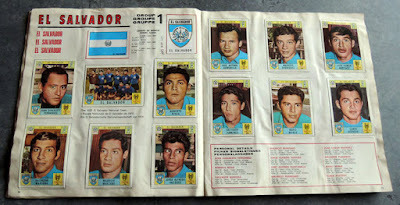 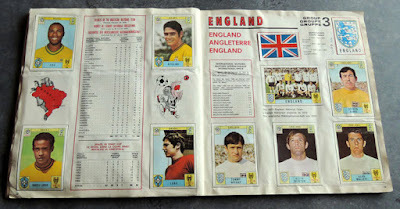 Center of the page presents world cup winners from 1930 until 1966 and a group table for the 1970 World Cup. 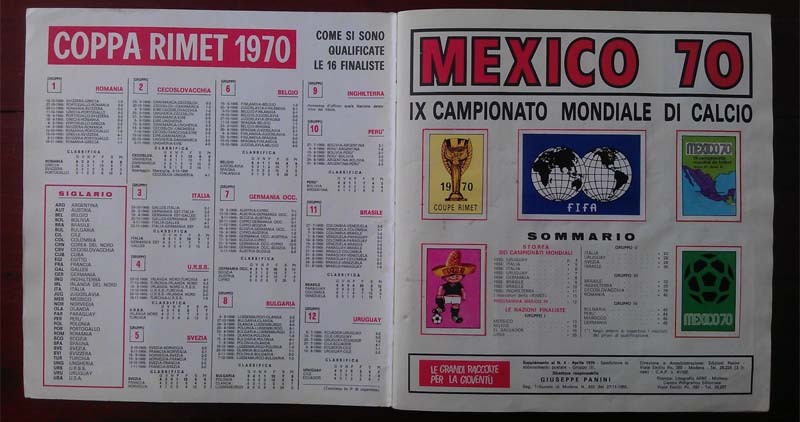 El Storia Del Campeonato consists out of 8 pages. 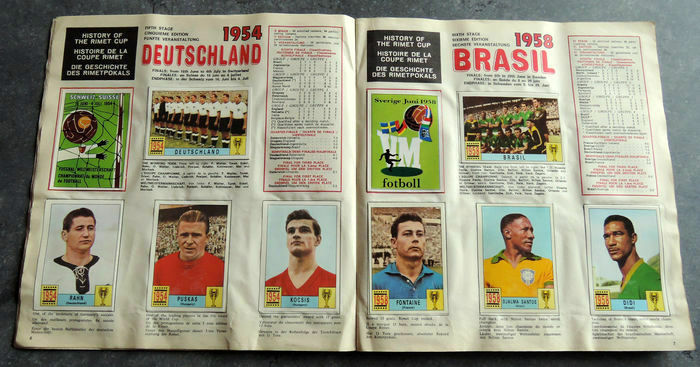 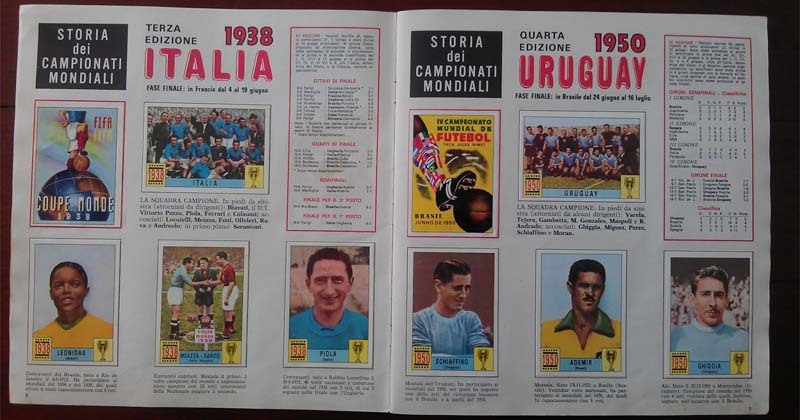 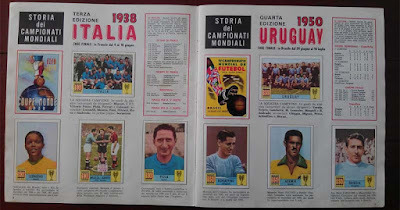 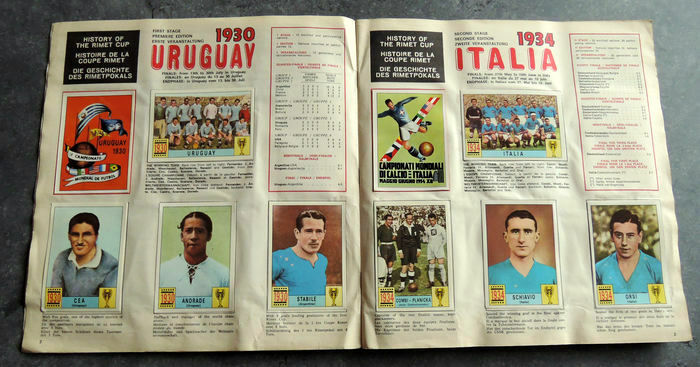 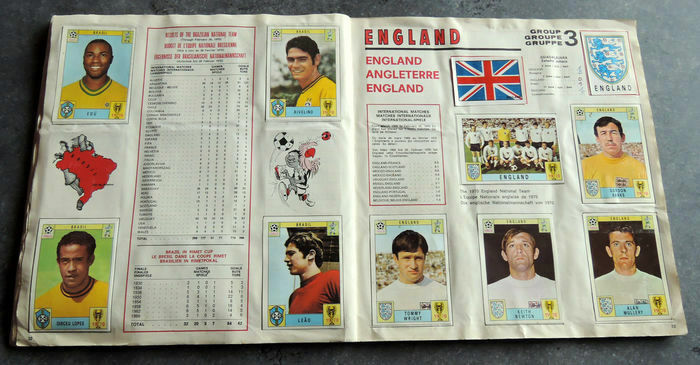 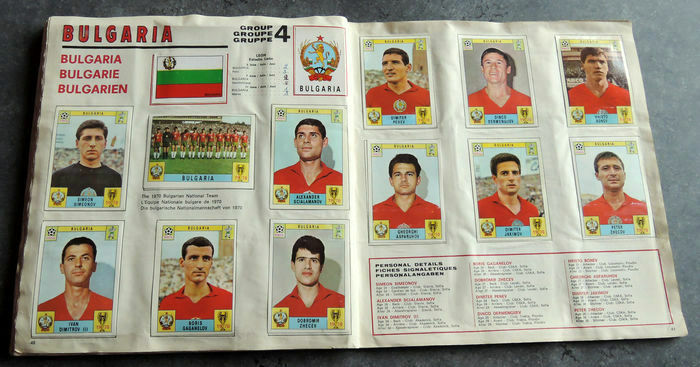 Each page depicts particular World Cup from 1930-1966 and briefly tells its story. 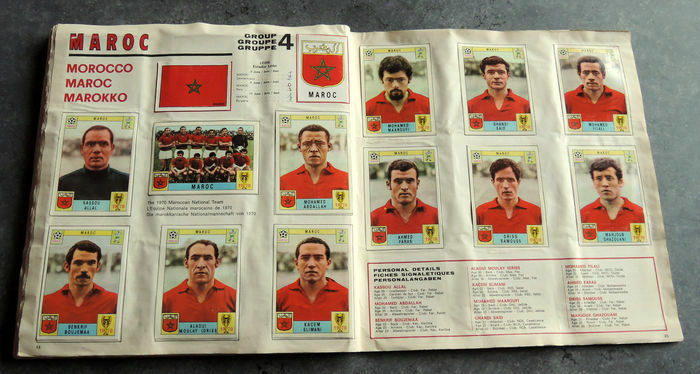 There are 5 stickers per page. 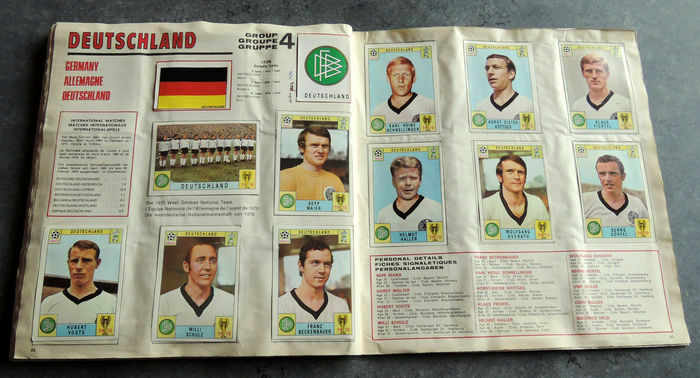 Beside three most significant players there are stickers of a tournament poster and a winning squad. 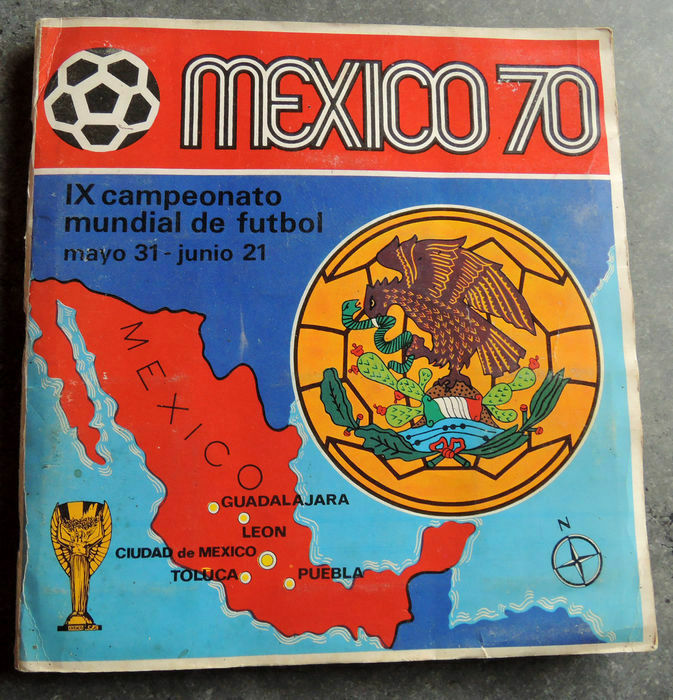 Program part contains only one sticker of a Azteca Stadium on a single page. 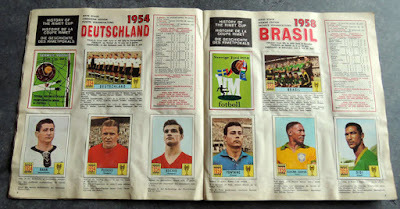 Unfortunately not all the stadiums have been included in the collection. Four stadiums have been left out. 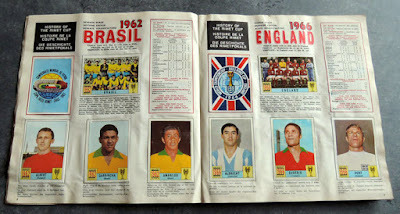 There is also a fixtures and a group table with a list of all matches. 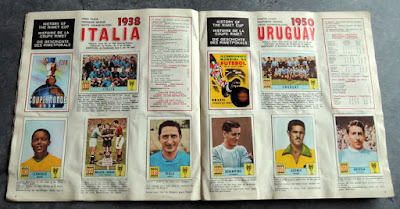 Teams section features all 16 national squads divided into 4 groups I-IV. 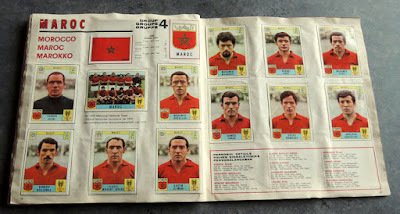 Some team have 2 stickers and 15 cards, while some, have 12 cards and same amount of stickers. 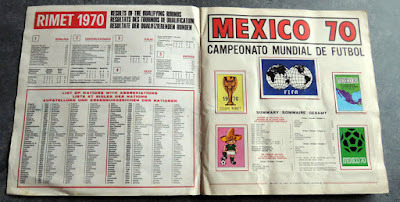 Mexico, a host nation appears first, where as Germany from group IV appears last. Just as a reminder, Brazilian squad led by Carlos Alberto, Pele and Jairzinho won the tournament by beating Italy 4-1 in the final. 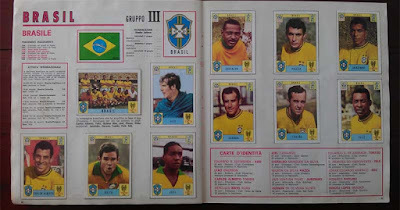 Brazilian 1970 team is considered to be one of the greatest of all times. 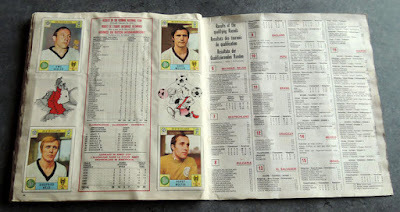 German Gerd Müller was a top goalscorer with 10 goals. I hope you enjoyed browsing through this iconic collection. 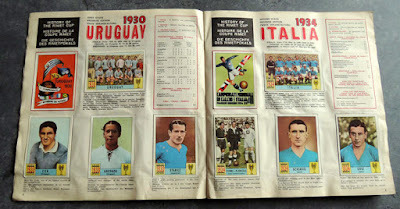 Photos in this post belong to PaniniNations.com. 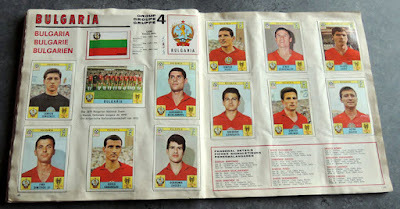 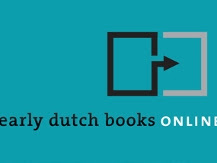 Make sure to check complete album photos at their site. 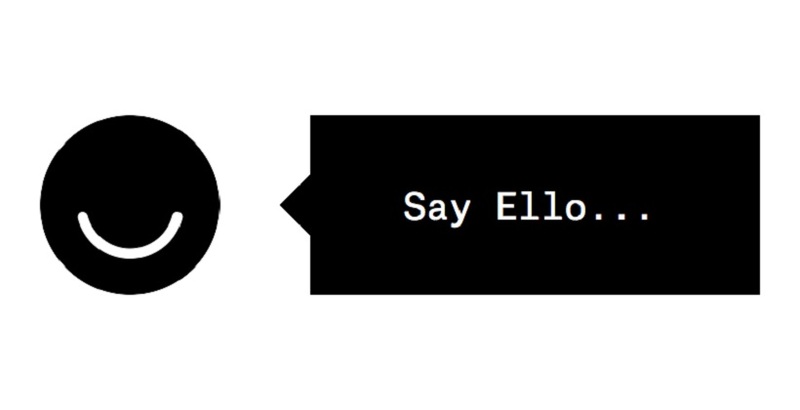 The most appropriate way to end this post would be with a quote.